Our offshore programs allow you to study an ECU degree in your home country at one of our partner institutions. If you successfully complete one of these programs, you’ll be awarded an ECU degree. We work closely with our partners to ensure you receive quality teaching, access to resources, and the support to help you successfully complete your studies closer to home. Our offshore programs provide the opportunity for you to study an ECU degree in your home country, but with access to our curricula, academic staff and resources. Graduates who are awarded an ECU degree after studying at one of our partner institutions receive the same recognition as graduates awarded in Perth, and have the opportunity to attend a graduation ceremony. After graduation, you’ll be part of ECU’s alumni network which offers great networking opportunities with fellow graduates. Many of our offshore programs recognise prior learning. So if you’ve completed previous study or you have professional work experience, you may be eligible for advanced standing. This can reduce the number of units you’ll need to study to be awarded the ECU degree. ZJNU was established as the Hangzhou Junior Teacher’s College in 1956, and obtained university status in 1985. ECU’s School of Education has been in partnership with ZJNU since 2002. Under this partnership, ECU and ZJNU jointly deliver the ECU Master of Education (Educational Leadership) at the ZJNU campus in Jinhua, China. To date, more than 700 students have graduated from the degree. Teaching is delivered in intensive study blocks. On completion of the program, students are awarded an ECU degree. For more information, please contact ZJNU at: yjsybc@zjnu.cn, or visit the ZJNU website. HCI commenced operations in 2011. HCI is one of India’s fastest-growing providers of health and nursing education. ECU partnered with HCI in 2018 to deliver ECU’s Bachelor of Science (Nursing Studies). The program provides Registered Nurses with an opportunity to obtain an Australian degree if they hold a Diploma level qualification in their country of origin. The course is delivered online by ECU lecturers in Australia, with face-to-face tutorial support provided on-campus at Health Careers Institute, Kochi, Kerala. Students who are eligible for advanced standing may complete the degree in one year. The course is not Professionally-Accredited and therefore does not lead to registration with the Nurses and Midwives Board of Australia. Established in 2005, ISA is Singapore’s premier private sports education institution. ECU partnered with ISA in 2017, to deliver the Bachelor of Science (Exercise and Sports Science) in Singapore. Here, ECU academic staff provide face-to-face teaching, with tutorial support provided by local staff. Students who have previously completed a Diploma at ISA or at one of the Singapore Polytechnics, may be eligible for advanced standing. For more information, please contact ISA at info@isa.edu.sg or visit the ISA website. The College of Allied Educators was established in 2004 and has a longstanding history in education and teacher training in Singapore. CAE and ECU partnered in 2018, to deliver the Master of Education specialising in Special Education in Singapore. ECU academic staff provide face to face instruction per unit over 3-day intensive teaching blocks. Students who have previously completed a Bachelor of Education may be considered for admission to the Master of Education. For more information, please contact CAE at enquiry@icae.edu.sg or visit the CAE website. Established over 50 years ago, PSB Academy caters over 11,000 local and international students per year through its growing portfolio of VET programs, undergraduate and postgraduate degrees. ECU partnered with PSB in 2018, for delivery of three courses in Cyber Security. They are the Bachelor of Science (Cyber Security), the Graduate Certificate of Cyber Security and the Master of Cyber Security. PSB staff will teach the ECU courses in Singapore with overall academic oversight by ECU academic staff. For more information on these opportunities, please contact PSB on email or visit the PSB website. ACBT opened in March 1998 and has been a pioneer in Australian higher education in Sri Lanka, offering an integrated pathway into ECU’s undergraduate degrees since 2003. ACBT has three campuses across Sri Lanka, in Colombo, Kandy and Galle. At ACBT, you also have the opportunity to undertake several pathway programs. 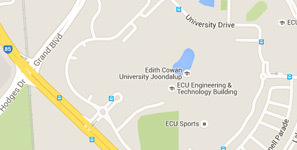 These include studying an Edith Cowan College Diploma or Advanced Diploma that can help you enter several ECU courses. You could also complete an English language course or a foundation program. For more information on the courses above, including the admission requirements, please contact ACBT. ECU’s relationship with the Emirates Centre of Aviation & Security Studies dates back to November 2001. CASS forms part of the Emirates Group Security Division, a wholly-owned subsidiary of the Emirates Group. Its main function is to manage the portfolio of education courses for aviation management to support continued professional development of staff in Emirates and partner organisations. To date, more than 1,500 students have graduated from these programs. For more details on the courses, please contact the staff at CASS. Ho Chi Minh City Open University is a public university founded in 1993. ECU partnered with HCMCOU in 2016 to deliver the ECU Master of Education (TESOL). ECU delivers the required units to award the Master of Education (TESOL) on-campus at HCMCOU in intensive teaching blocks, to cater for students with full-time work commitments. On completion of the program, students will be awarded an ECU degree. You must meet ECU’s course entry requirements, including English competency. Some programs may have special entry requirements. If you’ve met all requirements and you’re ready to apply, please contact the partner in your home country to request they submit an application to ECU on your behalf.